How to cook steak on the grill- a tutorial to make grilling the perfect steak so easy! Here in Western, NY we get about 3 months of pretty nice weather and the rest could really go either way. Now there are many meat items for which we will opt to use cooking methods other than our grill when the weather gets questionable. But when it comes to cooking steak, I don’t care if there’s three feet of snow outside. We are pulling out our grill. 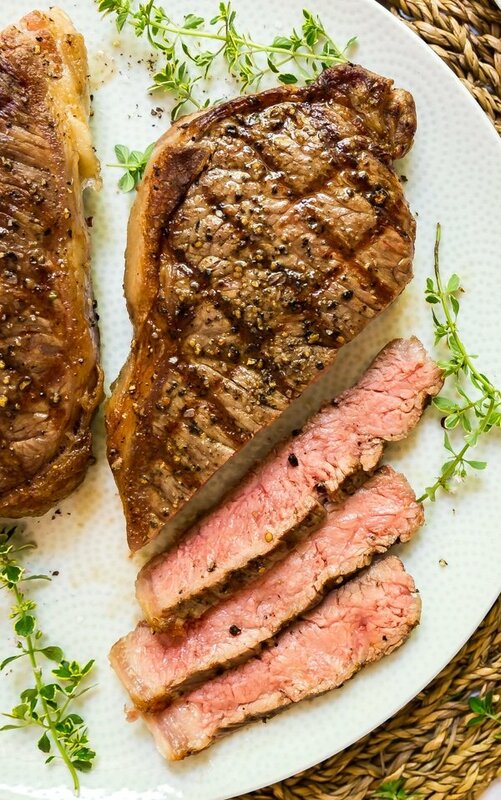 Because there is nothing better than the perfect grilled steak. I figured I should probably put together a guide for cooking steak on the grill. 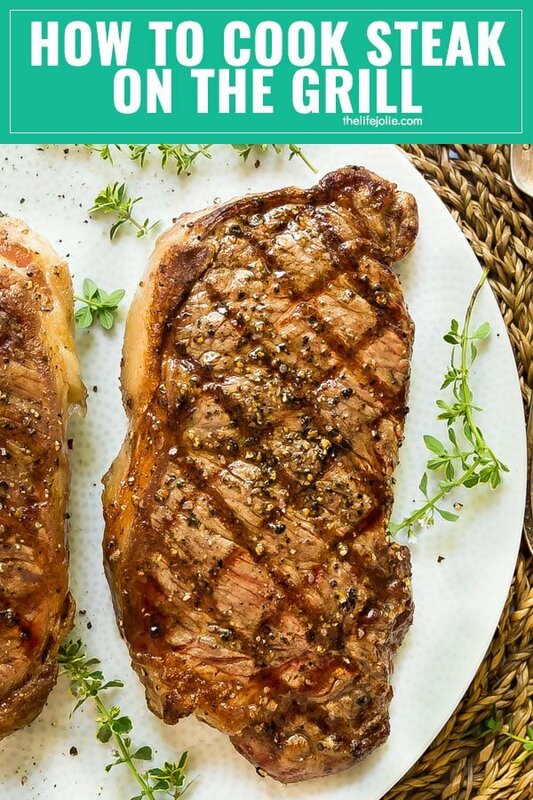 So with the help of my brilliant husband Justin who grills all the steaks in our home and my friends at the New York Beef Council who are experts in all-things-beef, I compiled everything you need to know to cook the very best steak on the grill! What are the best cuts of beef for grilling? 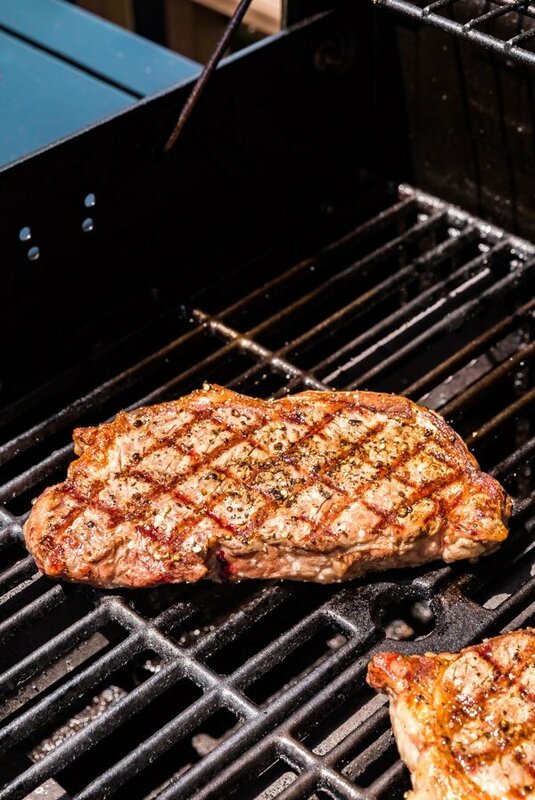 Conversely, when I asked about cuts of meat that are not ideal for grilling, they said this, “I definitely would avoid grilling a chuck steak and Chop Steaks!” Make sure you check out my post with more in-depth information on some of the common cuts of beef you’ll come across in your meat case. Try to avoid putting the steak onto the grill directly from the refrigerator.There is not a difference in cook time with a steak direct from the fridge and one that has had that 20 minutes to take the extra chill of the fridge off of it. Resting it prior to grilling helps promote even cooking without getting anywhere near the temperature danger zone. In terms of food safety, meat should not be in the danger zone (which is between 40 – 140 degrees) for more than 2 hours. There’s no reason for your steak to sit out for that long. We believe it’s a good idea to let the steak sit out for around 20 minutes before you grill. 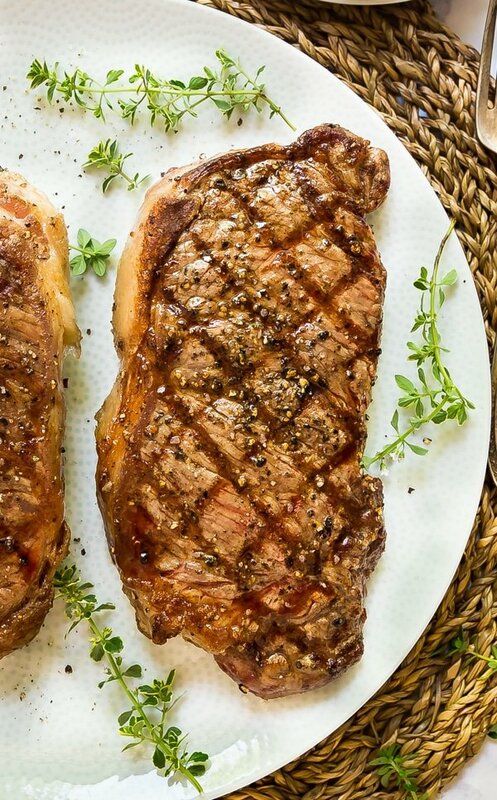 To season the steak before grilling or after grilling? That is the question. This can be a touchy subject in many grilled beef-loving circles. I’ve heard solid arguments on various sides of the argument and we fall into the camp of seasoning prior to grilling. Now there are two different ways you can go about this. Right before you season the steak be sure to blot it a paper towel to try and remove as much moisture as you can. You can season around 40 minutes prior to cooking which will almost act as a brine and absorb into the meat a bit heeding a slightly more robust flavor. You can also season just before grilling, which is generally how we do it in our home because ain’t nobody got time to remember to season it 40 minutes in advance. I’m just not that organized. Either way be sure to gently press it into your steak. Simple salt and pepper- Call me a purist, but this is by-far our favorite way to season my steak. It’s the most simplistic, but we’re always pretty liberal with our salt and pepper, making sure to gently press it into the meat right before grilling. These accent the delicious beef while still letting it be the true star! Dry rub- For a dry rub you can apply it just before cooking to use as a seasoning or 2-4 hours prior to cooking to work as a marinade. Try this Cocoa Chipotle Spice Rub from Susie at Hey Grill Hey. 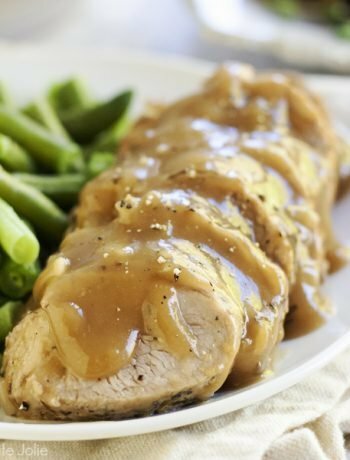 If you choose to marinate anything from the “middle meat category” (loin/rib) marinate 15 min – 2 hours tops! If you grill anything from the round category, which really needs to be marinated as I mentioned above, you can marinate 12-24 hours, but never over 24 hours because it will make the meat mushy and mealy. Sauce- I tend not to be a big fan of store-bought sauces like A1 on my steak (although I love it on a Cheesesteak sandwich!). But sometimes a great homemade sauce is the perfect addition! Check out my friend Michele’s killer Chimichurri Sauce! Let’s make steak on the grill! Place your steak on the hot grill and start it cooking. Cooking times will vary but here’s a helpful form that breaks down general grilling times by cut. Keep in mind, this will still vary a bit based on the thickness of your steak. You’ll begin to see it cooking on the sides of the steak and as a general rule, if it doesn’t easily release when you try to turn it, it’s probably not ready to turn. After a quarter of the time, keep the steak on the same side, but turn it 1/4 of the way to get some nice cross-hatch grill marks if you want to feel fancy. Flip the steak only once, half way through your cooking time and make sure you use grill tongs because a fork can pierce it and let all those amazingly delicious juices out and no one wants that! Eventually, you’ll get to the point where you can tell if it’s cooked by gently pressing the steak. But to ensure the proper temperature every time use a meat thermometer . When you’re approaching the end of the cooking time, insert the meat thermometer into the thickest part of the steak. When it reaches about 10 degrees less than your ideal temperature (for example, the temperature for medium-rare is 135 degrees so you’ll pull it at 125 degrees) pull it off the grill and onto a plate. Tent your steak with foil and let it rest for 5-7 minutes to redistribute the juices. During this time, the steak will also keep cooking and come to your optimal temperature. Enjoy that steak and be sure to cut against the grain! One other thing I want you to know is that the New York Beef Council is hosting a giveaway of a beautiful Weber grill starting on July 1st and going until July 31st. I’ll update with a link once the giveaway starts, so be sure to check back! Looking for some other easy how-to’s?